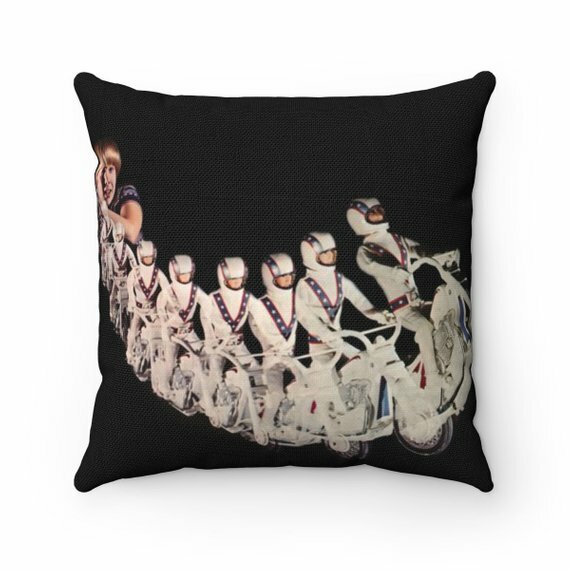 Check out these custom made Evel Knievel Stunt cycle pillows. 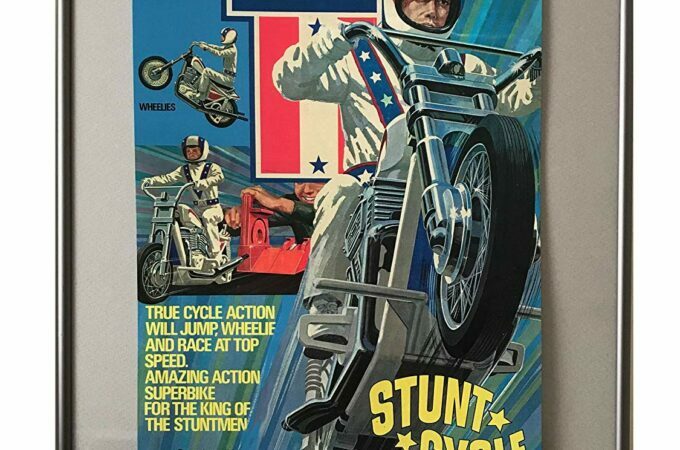 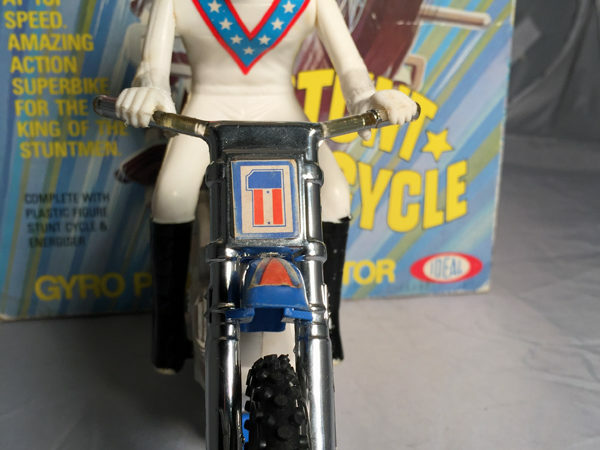 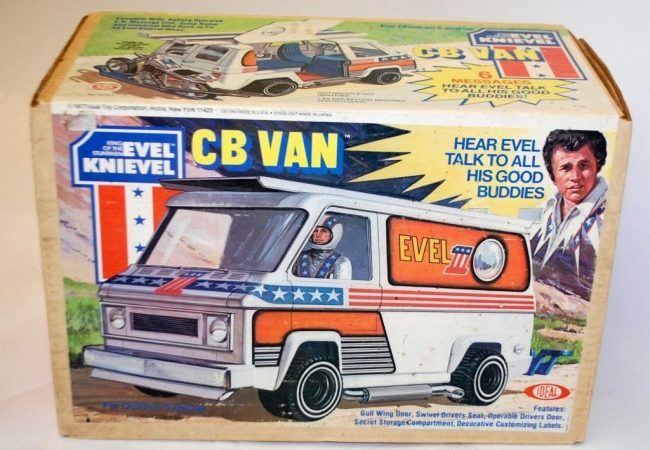 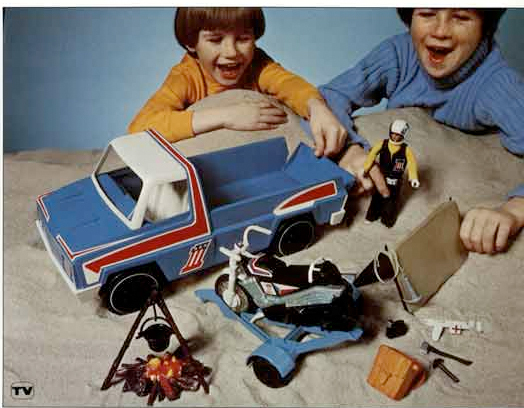 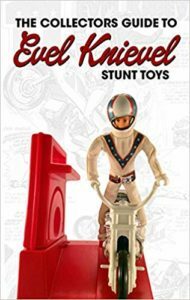 The graphics are from an original Ideal Catalog featuring some of the classic EK toys like the Stunt Cycle, Scramble Van, Chopper, Escape From Skull Canyon and the Stunt Stadium play-set. 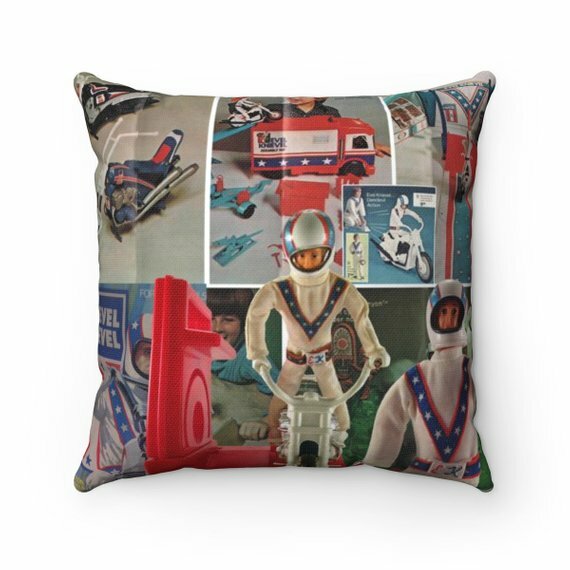 These awesome pillows are available in various sizes. 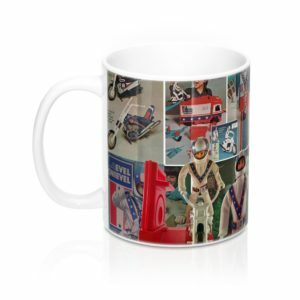 You can check them out on Etsy.